We are passionate in everything we do and all the products that we install are regarded highly within the industry. 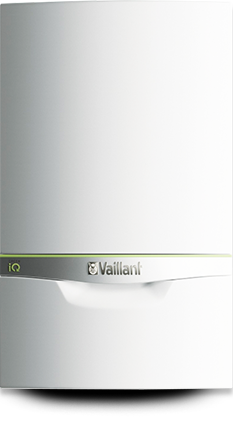 These include the latest efficient Vaillant boilers to smart phones that can control your heating remotely. For additional reassurance we give up to 7 years guarantee on all new boiler installations. Precision Plumbing has a long history serving our East London community and surrounding areas, with all sorts of plumbing and heating jobs to homes just like yours. At Precision Plumbing our belief is that everything we do is for the community and we really value our loyal customers. 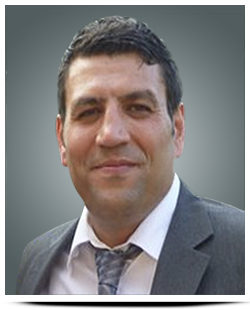 Precision Plumbing Solutions only employ the very best qualified and experienced staff. At Precision Plumbing Solutions all staff are fully qualified to carry out their task in a safe and professional manner. 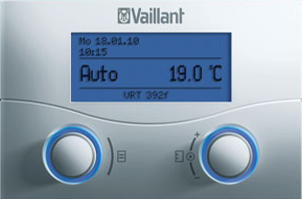 Boiler technology is constantly improving with new boilers working above 90% efficiency rating. There are thousands of old boilers working at 60%. If this applies to you then you could be wasting 30% more gas and hence higher gas bills. 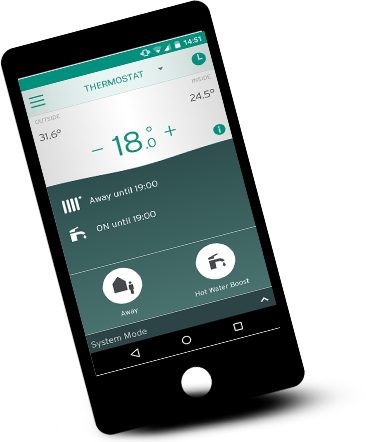 With the release of smart apps and Vaillant boiler thermostats one can now control the heating from anywhere including your armchair to your office. This is especially good on cold winter days, you can warm your home just before you get home from work using your smart phone app. We can install and teach you on how you can benefit from the latest technology to become more efficient. In order to run a successful family company for two decades one needs to provide consistently high quality jobs at affordable prices so that every one in the community can use our services. We have worked very hard to achieve this and backed it up with exceptional customer service and have earned the trust of the community with over 95% of our business is repeat business from existing customers. We bring the latest technology to your home, we can install boilers with the latest smart controllers and a smart app for your mobile phone allowing you total control of your homes water and heating from anywhere. Ideal for pre heating your home just before you get home, makes for a warmer welcome especially in the cold winter days. Boiler technology is always improving year on year. The most important factor is the efficiency rating. The higher the rating, the more efficient your boiler is in heating up water. 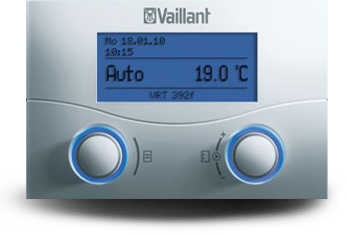 The Vaillant ecoTEC pro combination boiler range all have their efficiency rating of 89.3, this makes it ErP rating A for central heating and hot water. This means the boiler utilises 89.3% of the gas burnt. This figure is impressive because about 10 years ago most boilers would have struggled to get anywhere near this fixture. Boiler efficiency matters a lot to your bill, because the more efficient your boiler is means less gas is required to heat the water resulting in lower gas bills. 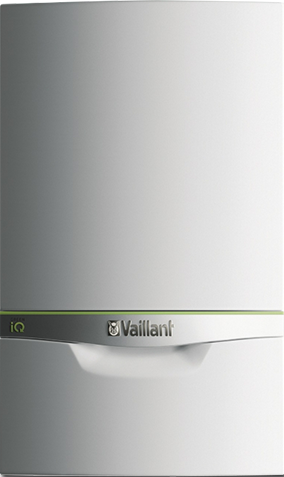 For example, if your old boiler is 60% efficient then you are 29.3% less efficient than the new Vaillant boilers. 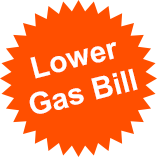 This would result in you paying approximately 30% less gas bill if you use the new boiler. AFUE = Annual Fuel Use Efficiency, a method for measuring boiler efficiency. * assuming the same heat output. These are general estimations, actual results may vary slightly. Mari's old boiler stopped working. We investigated and ran fault diagnostics and explained the costing on fixing and seperate costing for installing a brand new boiler. Two days later Maria decided to go for a new boiler installation. 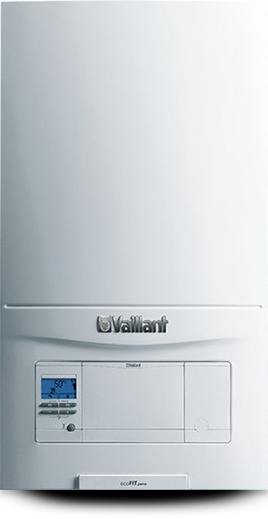 We came in the next day and installed a new Vaillant boiler on time and within budget. Showed Maria how to operate it and gave her 7 years guarantee. We arrived at Amelia's house within 2 hours of getting the call on Sunday, late afternoon. Previous plumber failed to fix the problem. We fixed it very quickly and within the quoted budget and explained what was fixed and what to do to avoid that in the future.